Very nice, best of luck to you this fall! If he's grown so much at this time, he'll be huge by fall. The second buck is no slouch either. Hope they stick around for you. Welcome to TH, this is a great site. He is a dandy. 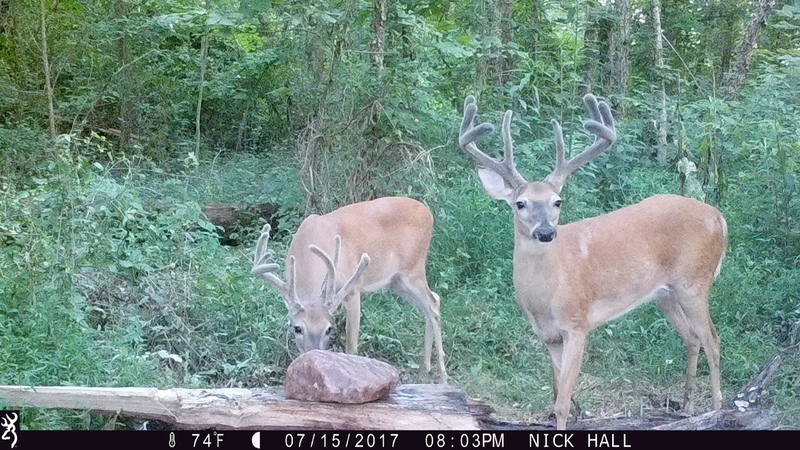 Good luck putting a tag on him this fall. Oh my, that's a stud, and not done growing yet! Welcome to TH and keep those pix coming (especially the one where you're holding his head up after the shot). Shuu weee what a buck!!! Very nice Hoss good luck with him. WOW those big boys should have the old heart pumping for deer season to get here. Good Luck. Welcome to TH, keep on posting those pictures, we love them. A few more I'm watching. he's a dandy. what state are you in?